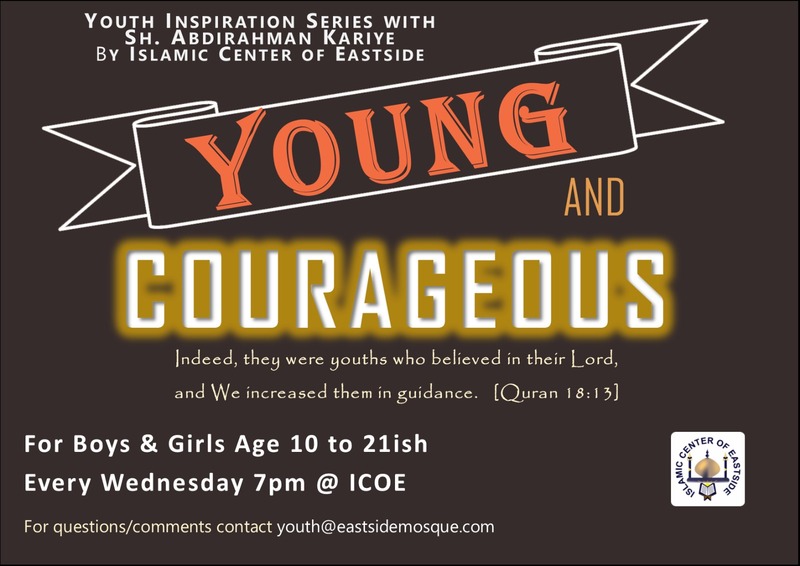 ICOE is presenting a new weekly youth series with our own youth leader Sheikh Abdirahman Kariye every Wednesday starting from 10th October at ICOE @ 7:30pm. replica watches Please see the flyer for more details. For any questions contact youth@eastsidemosque.com.